​Trim your rabbit's nails once per month, or as needed. Rabbits have 18 nails that are constantly growing. 4 on each rear foot, and 5 on each front foot, including the dewclaw on the inside of the leg. They must be kept short. Unlike dogs, rabbits can't keep their nails short by simply being allowed to run around. And sadly, rabbits don't use scratching posts! So the only option is to trim the nails. A lot of beginners are very nervous at first about trimming their new rabbit's nails. Most of the time, it is because they are worried about injuring the rabbit. Here's the thing. Your rabbit will forgive you for the odd mistake. They will still love you even if you accidentally cut the quick. Yes, cutting a bit of the quick is not pleasant for the rabbit, but it isn't the end of the world. It heals quickly and I doubt it really hurts a whole lot. Just don't make a habit of cutting the quick. With time, cutting the nails will get easier and easier until you don't even worry at all! HELPFUL HINT: You can get a steady hand by practicing trimming on a toothpick or cake testing stick. So how do you actually trim the nails? 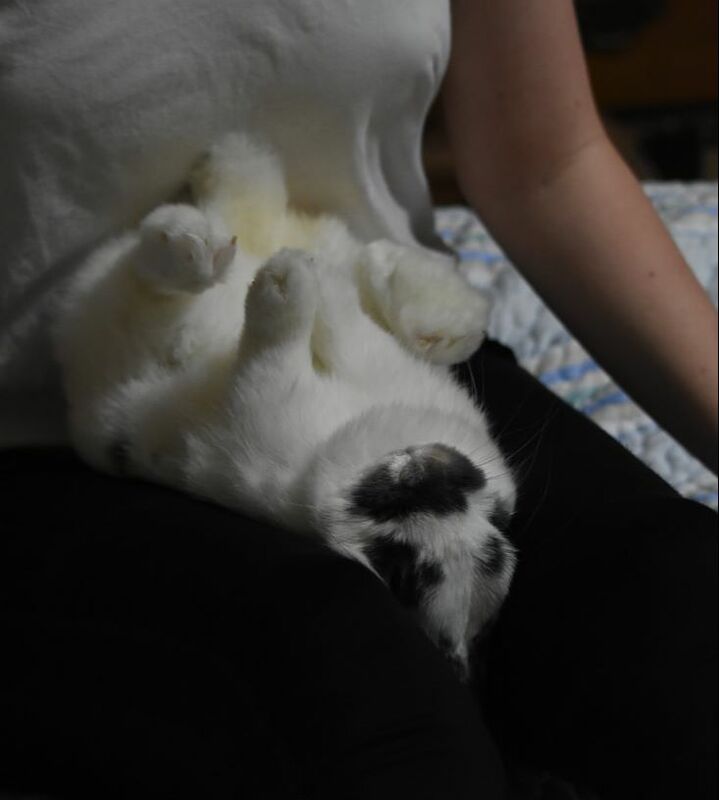 The very first thing you'll need to do is get your rabbit comfortable being flipped over on their back. All my Hollands are flipped over frequently from birth, so they are really used to it and don't care. Some rabbits that haven't had this experience may be a bit squirmy at first. Just be patient and don't take 'no' for an answer. If you are having difficulty teaching your rabbit to hold still in this position, have an expert help you in person. Turn your rabbit over on his back, and hold him gently but firmly on your lap. You may need a helper when you're first learning. You could even split the work and have your helper hold the rabbit while you trim the nails, or vice versa. Whatever works best for you and makes you feel confident! On each nail there is a red or darker part called the quick. This is a blood vessel. Do not cut the quick, or you'll make your rabbit bleed. Always cut in small increments in case you cut the quick. If you accidentally cut the quick, apply a generous helping of flour or corn starch to the nail to stop the bleeding. 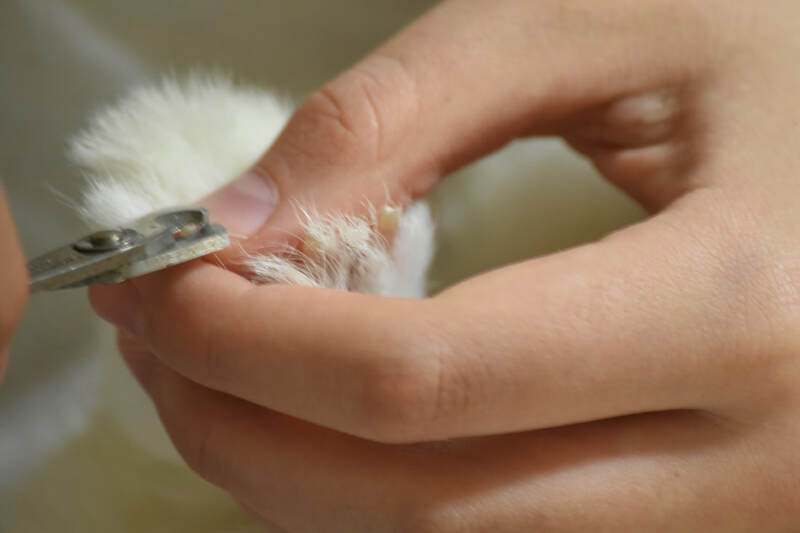 Your rabbit will probably squirm quite a bit if the nail is cut, but it doesn't hurt as badly as they make it out. Just don't panic. If you freak out, the rabbit will think there's a reason to freak out, and he or she will get scared. Rabbits with light nails, such as Brokens, are usually the easiest to trim as the quick shows up really easily. If your rabbit’s nails are dark, the quick is a bit harder to see. You can dip them in water and hold the rabbit in bright light to see the quick better. 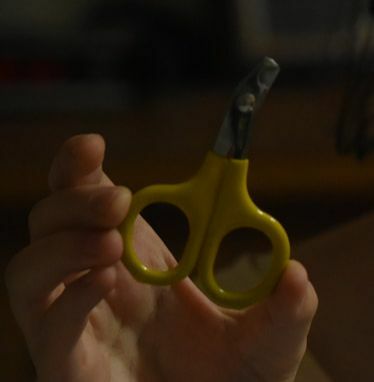 You want to trim the nails fairly frequently to keep them nice and short. 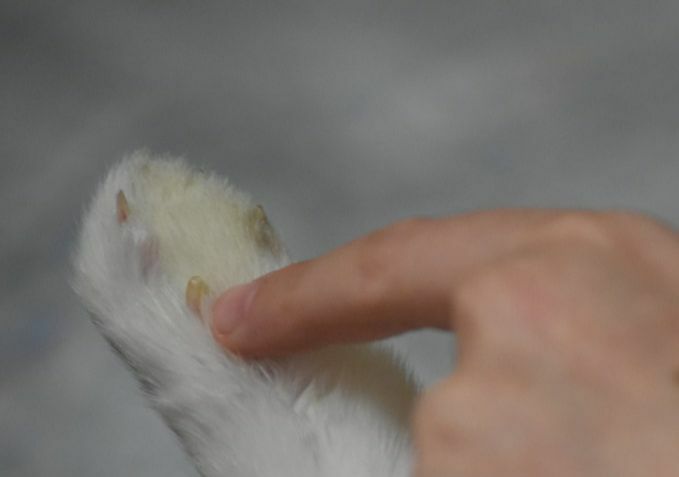 If you leave the nails for several months without trimming, the quick will actually grow longer and it will be impossible for the rabbit to ever have really short nails. Make sure the dew claw in particular is always very short so it doesn't dig into the foot. After trimming the rabbit's nails, put your rabbit back in its cage and if you want, you can give it a treat like papaya or something if he or she did an especially good job and didn't squirm. A little positive reinforcement goes a long way! Like with anything with animals, if you act confident, the rabbit will think you know what you're doing, so they won't be as likely to act up. What are some other tips for trimming your rabbit's nails? Tell us below in the comments section!